Who wouldn't want to paint their dog an assortment of crazy colors? That was what went through Abe Geary’s head when he started his company, Pet Paint. He entered the tank asking for $200,000 for 20% of his company. I’ll admit that it is a very interesting idea for a company, but perhaps Abe though it was a little too interesting, valuing the company at $1 million. This valuation was deemed to be extremely high by all the Sharks, given that he had only made $70,000 in sales. He had an estimation of almost $200,000 in sales by the end of the year, but that was not enough for the Sharks to want to invest. However, Abe did pique their interest for a moment when he talked about his deal with PetSmart and their commitment to rolling out his product in their stores and grooming department. This attention was short-lived, as the Sharks started to shoot some holes into his plans for the future of Pet Paint. It didn't take the sharks long to realize that his sales weren't all that they could be, mostly due to the fact that Abe had completely neglected the sea of novelty-product hungry consumers lurking online. Abe soon learned the hard way that anyone with a computer and a credit card would be happy to purchase a bottle of Pet Paint, but to date, he had never thought to take advantage of building an online presence. The lack of a Pet Paint website was a major factor to all the Sharks dropping out early in Abe’s pitch. Barbara was the first Shark to drop out of the bid simply because she thought the price of $9.99 a bottle was too high, but in the end she decided to come back in as the only Shark with a taste for Abe’s idea. But being that her offer was $200,000 for an outrageous 60%, Abe turned it down without even a counter-offer. Kevin was the second Shark to drop out, warning Abe that he had created a product which anyone can create, and that is a fatal mistake. Mark and Robert also decided this idea was not for them. 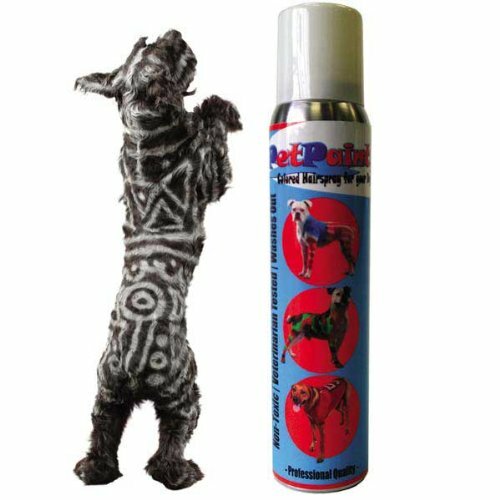 Robert stated that he couldn't make an offer because of the crazy, and Mark scolded him for not considering the idea that Pet Paint would be an online superstar. Abe entered the tank with a great idea, and left with some great advice on how to turn his idea into a strong business. Although he made some mistakes in his presentation and in some of his previous business decisions, I am confident that he will turn Pet Paint into a very profitable business if he listens to the Sharks’ advice. Pet Paint may have hit rough waters in the Shark Tank, but there is a bright future for it just over the horizon. Overall Performance: Presentation: 30/50. Strategy: 10/25. Product: 20/25.